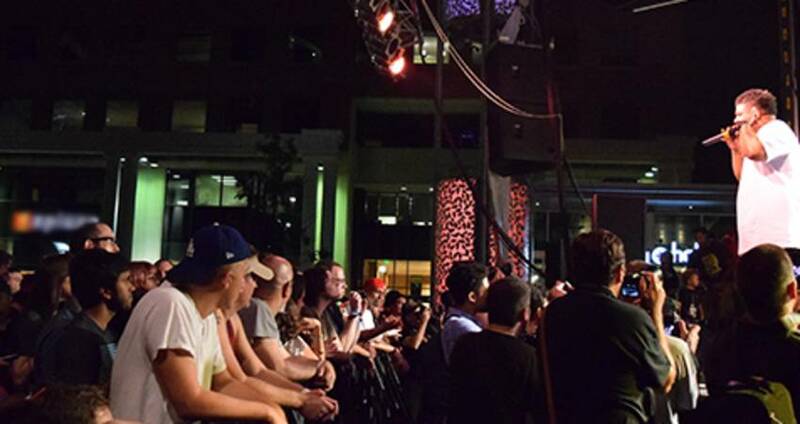 Named one of the hottest live music cities, the Raleigh area plays host to nationally-touring rock stars and local indie groups. You can rock out at mega-venues like Walnut Creek Amphitheatre or PNC Arena. If you want a more relaxed music experience, spread out a blanket at Koka Booth Amphitheatre or the North Carolina Museum of Art&apos;s Joseph M. Bryan Jr. Theater in the Museum Park, and make sure to experience the area&apos;s newest outdoor live music venue, Red Hat Amphitheater. No matter your age, musical taste or how hard you like to bang your head...the Raleigh area has the venue and the band for you. Pancakes, sausage, an omelet and jazz, a perfect start to a Sunday morning. Irregardless Café plays live music seven nights a week, and afterward let your kids make the music at Marbles Kids Museum, a hands-on museum that inspires imagination and creativity. While there&apos;s no shortage of music venues in Raleigh, there&apos;s also an abundance of music festivals and events—many held on an annual basis. 2014&apos;s Hopscotch Music Festival brought more than 140 bands to downtown Raleigh for a weekend of music galore, while MusicSpark, a part of the annual SparkCon festival, celebrates our area&apos;s diverse and ever growing music scene. Have lunch at Tir na nOg, a traditional Irish watering hole, just one of the area restaurants that create engaging atmospheres through music. Enjoy the seasonal temperatures at one of the area&apos;s outdoor live music venues. Walnut Creek Amphitheatre is a stop for national touring acts like Rascal Flatts, Tom Petty, Lilith Fair and Phish to name a few. Cary&apos;s Koka Booth Amphitheatre offers a more intimate feel and is the summer home of the North Carolina Symphony&apos;s Pops Series. Artists such as Lorde, Alt-J and Paramore have stopped at Red Hat Amphitheater on their tours. If you&apos;re not done for the night, stop in a nightclub in Glenwood South or in the Warehouse District for DJs spinning the hottest sounds or live music from artists looking for their big break at Lincoln Theatre or The Pour House Music Hall. We lead the state in the number of live music venues; we can claim more than 85 in the Raleigh area...there&apos;s no doubt you can find music for your ears. Live music is for all ages, and numerous venues throughout town welcome musicians catering to kids, and once the weather gets warm the Downtown Raleigh Farmers Market has free music every Wed.